A key leader in the state’s access to justice movement will be honored next week with a prestigious national award given by the American Bar Association’s Standing Committee on Pro Bono and Public Service at the Association’s Annual Meeting in New York. Attorney Bill Waddell of Friday, Eldredge & Clark is one of five national recipients of a 2017 ABA Pro Bono Publico Award, which is given to individual lawyers and institutions in the legal profession that have demonstrated outstanding commitment to volunteer legal services for the poor and disadvantaged. Jonathan Lippman, former chief judge of the New York Court of Appeals, the state’s highest court, will be the keynote speaker at the awards luncheon on Saturday, August 12, at the New York Hilton Midtown. Growing up in the Arkansas Delta taught Waddell the cultural value of living justly in community with everyone, he said. It was this value that has fueled his desire to use his training as a lawyer to work for social justice. And work for it he has. Waddell has devoted hundreds of hours of time as a volunteer, handling more than 300 pro bono adoptions over the course of his career, at least 200 of which were for Bethany Christian Services. 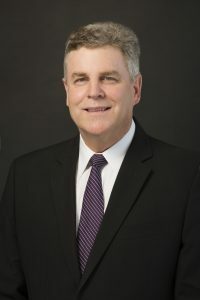 As a deeply committed Methodist, he also serves as legal counsel to the United Methodist Church’s Council of Bishops and has served as Chancellor to the Arkansas Conference of the United Methodist Church. In addition, he routinely handles legal aid case referrals, representing Arkansans facing seemingly insurmountable barriers. Barriers like those facing a grandmother who wanted to care for her granddaughters whose parents were out of the picture, but couldn’t enroll them in school or consent to medical treatment without legal authority—which she could not afford to obtain. Waddell’s intervention helped his client, whose granddaughters desperately needed the stability of a legal caregiver, gain the guardianship she needed to help the girls thrive. In addition to his work with individual clients, Waddell has played an instrumental role in advancing access to justice at a state level. As an early appointee to the state’s Access to Justice Commission, Waddell has led a variety of initiatives to expand the role of pro bono service and increase funding for legal aid. In 2009, his work led to the creation of the Arkansas Access to Justice Foundation, which has since merged with the state’s Interest on Lawyers Trust Accounts (IOLTA) program as a means of diversifying support for legal aid. Waddell also served as the Chair of the Foundation’s Board of Directors for eight years. Of all the pro bono volunteer efforts that Waddell has taken on, none have been more fulfilling than his work with the Mid-Delta Health Systems Medical-Legal Partnership in Clarendon—an innovative project that has taken him back to his Arkansas Delta roots. Waddell spends at least one full day a month meeting with clients, assisting them with a wide range of legal problems that are contributing to poor health outcomes. He has personally helped more than 100 clients at the clinic, recruited other attorneys at his firm to volunteer, and has mentored fellow volunteers, as well as legal aid attorneys. Kevin De Liban is one of the legal aid attorneys Waddell has mentored. Waddell’s latest project is one that has taken him to the writer’s desk instead of the courtroom. He recently penned a self-published children’s book entitled Palindromic Pledge. The book follows Anna and Rocío over the course of their summer break as they learn what the promise of justice in the Pledge of Allegiance really means. Waddell wrote the book as a loving tribute to his wife, Patty, and their three daughters, Jessie, Grace, and Anna. “Palindromic Pledge is intended to serve as a resource for children and their adults, whether that be parents, grandparents, or teachers, to begin exploring why ‘justice for all’ is an important cultural value for everyone,” said Waddell. Bill Waddell is a partner at Friday, Eldredge & Clark, where he heads the firm’s Commercial Litigation and Regulation Practice Group. He recently received the Outstanding Lawyer Award at the Arkansas Bar Association’s Annual Meeting in June. The award is given in recognition of excellence in the practice of law and for outstanding contributions to the profession.